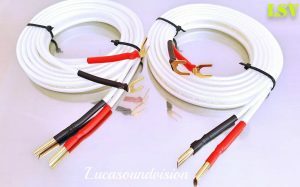 View basket “NEW Chord Odyssey 2 AUDIO SPEAKER CABLES 2 x 3m (A Pair) Terminated” has been added to your basket. 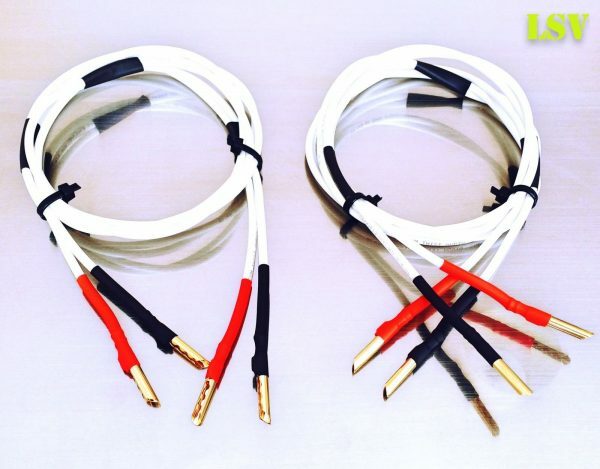 A pair ( 2 x 2m ) BLACK RHODIUM TWIST Audio Speaker Cables Terminated. 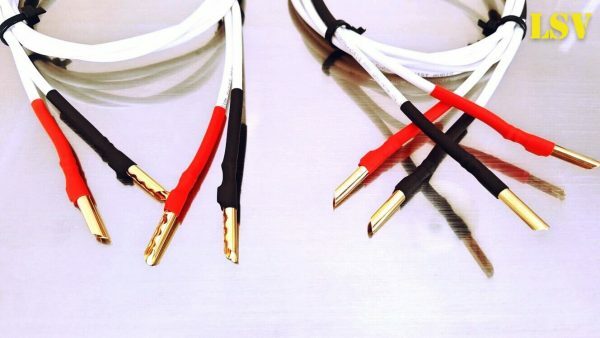 The cables is high pressure crimped of professional crimping tool AIRLOC HIGH PERFORMANCE TERMINATION (for maximum contact surface area).To a high quality 24 gold-plated BFA Z-Type Plugs with extra crimped pin (Crimp sleeves) see photos. All ends finished with colour coded black and red heat shrink sleeves. (Compatible with Arcam – Linn – Cyrus and all other good quality audio products). TWIST makes the experience of listening to music a pleasure thanks to its natural open sound on vocals and excellent timing on piano notes. 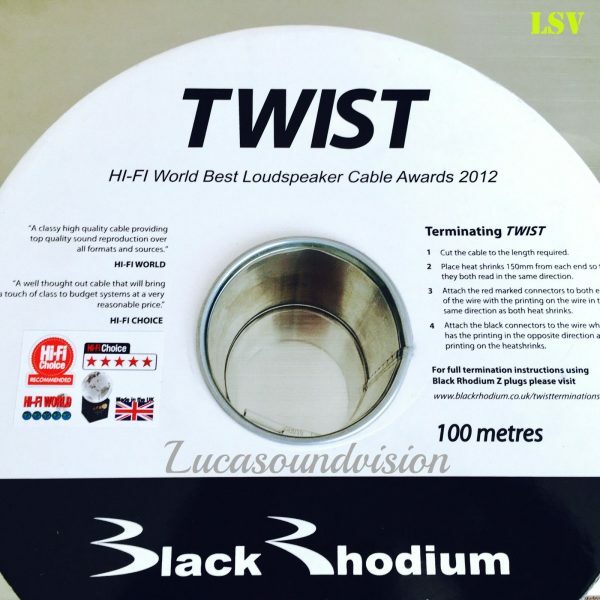 The reason why Black Rhodium has been able to achieve this level of sound quality at such a low price level is because we have based the design on our top-of-the-range Ninja. “We have taken out all the expensive bits of Ninja such as DCT, silver plating and heavy gauge wire but kept in the good design features of Ninja to create TWIST” says designer Graham Nalty. In fact there are three design features of Ninja that were exclusive to Ninja in the Black Rhodium range when the Ninja was developed. 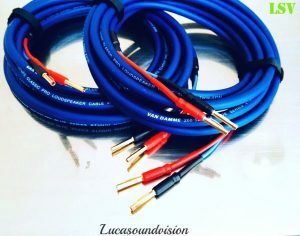 • TWIST cable, as its name implies is twisted along its length, thus preventing the cable acting as a “loop aerial” for airborne radio frequency interference which can cause audible distortion to the sound quality. • The positive and negative cores are connected in opposite directions, as shown in the picture below. Experience shows that when cables are connected this way (and both cables are connected in the same direction) the noise floor between the musical notes lowers. • The cable is supplied with insulation of twice the thickness of other cables in the Black Rhodium range. Our listening tests have indicated that when the distance between closely placed conductors is increased, the sound quality becomes more natural and the music appears less to come from the boxes of the speakers.